First celebrated as a harvest festival 3,000 years ago, the Chinese Mid-Autumn Festival falls on the 15th day of the eighth lunar month, which this year falls on this Sunday, September 30. Meanwhile I&apos;ve been monitoring worldwide reports of the contemporary bounty of the season: mooncakes. Estimated to be a multi-billion dollar business, mooncakes were once considered the Chinese version of the Christmas fruitcake. Today though, mooncakes appear in chocolate, ice cream and other luxury ingredients — and are considered a status symbol that can grease the wheels of global business. 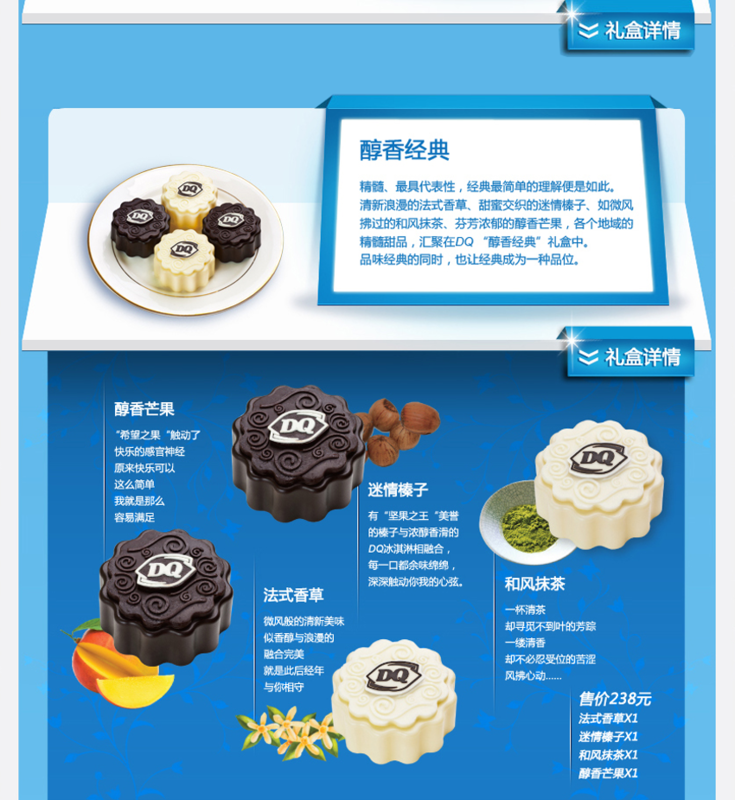 There&apos;s even a booming black market trade in mooncakes, according to Marketplace. 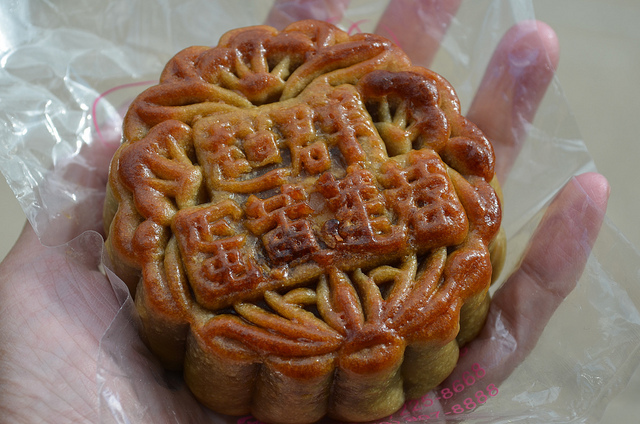 In Chicago, we know mooncakes best as golden-brown, puck-sized pastries filled with sweet bean paste and a salted egg yolk center (traditionally duck eggs are used, but bakeries here use chicken eggs). They&apos;re actually available year-round mini-sized, without the yolk — the minis are too small to hold them. 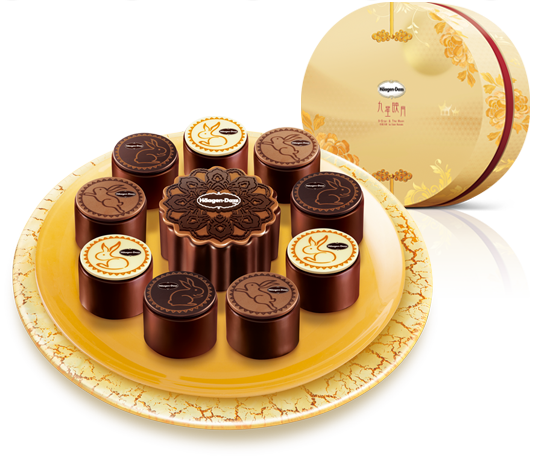 Now is the only time of year you&apos;ll find the full-sized mooncakes everywhere, but only a handful are made locally. Chinatown&apos;s oldest bakery, Chiu Quon, makes their own with four traditional fillings: lotus, red bean, wintermelon and mixed nuts — with or without the yolk. The stacks of red and gold boxes at grocery stores like Richwell Market or Hmart originate from California or Asia. Sadly the Chicago Moon Festival 2012 has been cancelled "due to sponsorship complications," according to the Chinese Entrepreneur Organization. And, the Chinese-American Museum of Chicago&apos;s Mid-Autumn Festival celebration ("with traditional music, mooncakes, tea, and roast pig!") is already full. Last year, Peninsula Chicago&apos;s Shanghai Terrace chef Ivan Yuen offered mooncakes in not only lotus, but pineapple, pomelo, green tea, chestnut, and longan (according to Leah Zeldes at Dining Chicago), but this year they&apos;re importing theirs, too. And so it seems that few people bake their own mooncakes these days — or freeze them, as Häagen-Dazs does now. The ice cream maker and Starbucks are two of the biggest Western companies to capitalize on the modern mooncake movement. Those companies are not alone, though. 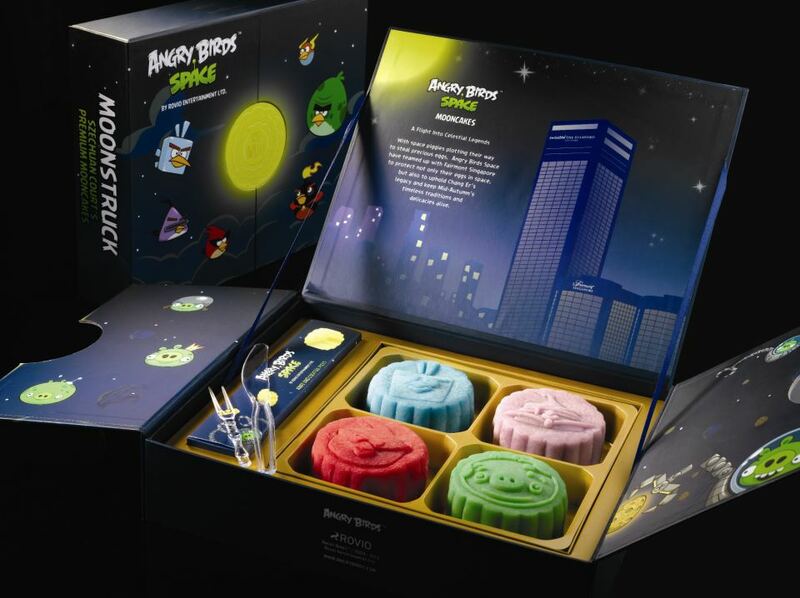 One of the hottest mooncakes this year are the Angry Birds Space mooncakes at the Fairmont in Singapore. They&apos;re snowskin mooncakes — made with glutinous rice flour, like mochi — and available in four flavors: grape pop rock with strawberry ganache, "Choco Pop," salted caramel truffle and pandan with macadamia nuts. Dairy Queen, which was founded in Kankakee, Ill. in 1938, is offering mooncakes in hazelnut, green tea, vanilla and mango. 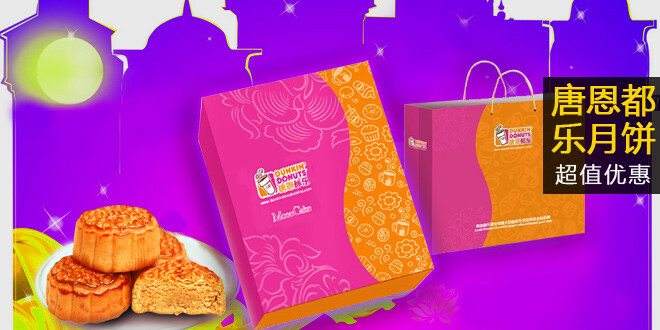 Adding another local twist to the modern tale of mooncakes, Dunkin Donuts is offering a deal through Gaopeng, the Chinese Groupon. Flavors include mocha, purple potato, chickpea, wintermelon, strawberry and pineapple — but no yolks. With billions of mooncake dollars and a culinary cultural revolution at stake this really is no yolk.